Authentic French recipe. 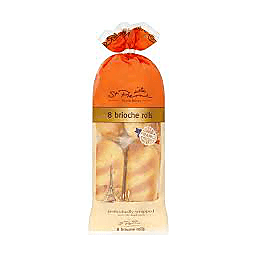 St Pierre Brioche are made to authentic French recipes for a taste of European cafe culture. Bon appetit! Our delicious brioche slider rolls are delicately sweetened for you to enjoy with either sweet or savory dishes. For more ideas on how to enjoy our products visit: www.stpierrebakery.com. Facebook: St Pierre Bakery. Twitter (at)StPierreBakery. Instagram StPierreBakery. Suitable for vegetarians. Product of Canada. 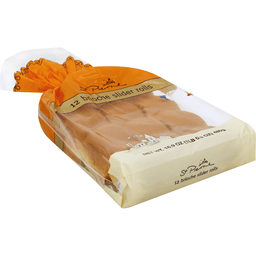 Treat yourself to a French delight by serving these sweet and rich brioche rolls with fruit jelly or a chocolate spread. Perfect for breakfast, as an all-day snack or as a base for luxury canapés. 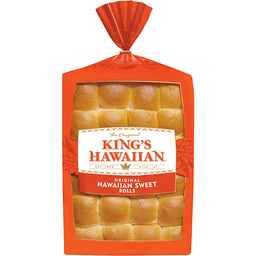 The Original King's Hawaiian® Original Hawaiian Sweet Rolls. Est. 1950, Hilo, HI. Original Hawaiian recipe. Our Story: Back in the 1950s in Hilo, Hawaii, a young man named Robert R. Taira had a passion for baking. Working with the finest ingredients, he refined his recipe until he created a bread that was soft, sweet and irresistible. Today, three generations of the Taira family continue the legacy and the aloha spirit, staying true to the original recipe. Our rolls are wonderful warm from the oven or straight from the bag. Make them into sliders or bite-sized sandwiches. 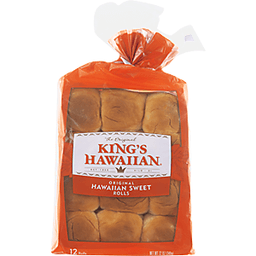 A pack of 24 delicious King's Hawaiian rolls means plenty to go around. Mahalo, from our ohana (family) to yours, The Taira Family. Try our other yummy breads: Round bread: Perfect for sharing, dip bowls and French toast! Mini sub rolls: Ideal for any sandwich at home or to go! Hamburger & hot dog buns: Make every grilling occasion special! For delicious recipe ideas, visit us online at: www.kingshawaiian.com. If you have any questions or comments, please email us at: khcares@kingshawaiian.com. Consumer care: (877) MY-KHCARES (877) 695-4227. Recyclable package. King's Hawaiian® is a registered trademark of King's Hawaiian Holding Co., Inc. © 2015 King's Hawaiian Holding Co., Inc. All rights reserved 2015.